The Masons are a fraternal organization which, to this day, Catholics are forbidden to join. That didn't stop Masons from coming to Guam, nor Chamorros from joining the Masons in small numbers before the war. Generally, Chamorros who did join the Masons before the war stopped practicing Catholicism. There may have been Spanish Masons in the Marianas during Spanish times, as well, though there was no lodge in the Marianas until the American Masons opened one on Guam before the war. But that didn't stop one Catholic Chamorro couple, Vicente Roberto Herrero and his wife, the former Dolores Martínez Pangelinan, from becoming interested in a Masonic ring. Herrero wasn't a Mason, but a ring, especially if it were made of gold, had economic value, and Herrero somehow acquired one. The Herreros ran a store on the ground floor of their Hagåtña house and someone had stolen the ring, among other numerous items, when the store was somehow infiltrated undetected. And then, in 1902, a US Marine stationed on Guam, William Dalby from Indiana, walked into the Herrero store looking to buy handkerchiefs. Dolores studiously observed Dalby's hands on the counter. Dolores called to her husband to come over. 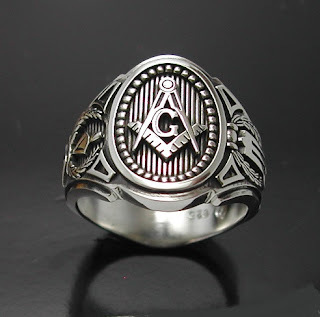 Vicente looked at Dalby's hands and saw a Masonic ring on it. "That ring belongs to us," Vicente said. Dalby replied, "I bought it from another soldier. It's a Masonic ring for the 10th degree in the United States." Herrero answered, "It's for the 13th degree, Spanish Masonic lodge." Well, Dalby said he'd go and get the American Marine he bought it from. Alvin Acree from Virginia walked in and said that he had bought the ring from a Chamorro. He wasn't totally sure it was a Chamorro, but he thought so. 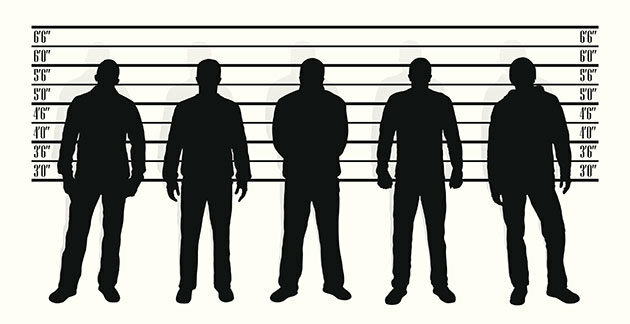 He described the man as being short, of dark color and having hunched shoulders. The man couldn't speak much English; only a few words. The court summoned José Taitano de León Guerrero, a silversmith, who testified that he had seen the ring in the possession of Herrero since around 1897, as Herrero had brought it to him for an appraisal. Another witness, Nicolasa Cruz Santos, a seamstress who used to work for Herrero, said she, too, had seen the ring in the possession of the Herreros some years back when she was working for them. Somehow, perhaps just from the physical description, or maybe because someone informed the authorities, a man named José was identified as a suspect. Because his family is still around, and rather numerous, I'll just keep it at José. That's what happens when the author is local and the island is small and interconnected! José completely denied having anything to do with the ring. He didn't know who it belonged to nor anything else about it. He did say he was at the barracks (probably the Marine barracks in Hagåtña) and saw a Filipino young man named Jabe (or Tabe or Fabe, the first letter is not clear). Jabe was laughing and José asked why. Jabe said, "I just tricked an American! I told him I'm Chamorro but I am not!" José was certainly insinuating that this Jabe was the real suspect. But, the authorities created a lineup, the first I've come across in Guam's documentation. Four men were brought into the room and made to stand shoulder to shoulder, their backs against the wall. Besides the suspect José, there was another José, surnamed Cruz, and then a Pedro Mendiola Delgado and a Nicolás Garrido Iriarte. Then, four American Marines who claimed to have been there when the Chamorro man sold the ring to Acree were brought in, one by one so that one man's answer wouldn't influence another. Three of the four identified José as the man they saw selling the ring to Acree. 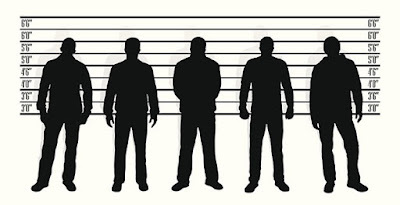 One of the four couldn't identify any of the four men at all in the line-up. Then the judge did an interesting thing. Out of sight of the four Marines, the judge had José change shirts with Iriarte and changed up the order of the line. Then he brought in the four Marines again, one by one. The same three Marines still identified the suspect José, while the fourth one still couldn't tell which of the four the man was. So, the charge stuck with José and he eventually paid the price for it. The local officials of Hagåtña were asked to testify as to José's character. They all said he started out with a good reputation. He was known as an industrious man, always working hard at his ranch to feed his family. And then....gambling. Card games, cockfights. He lost a lot of money and sold possessions to cover his debts.